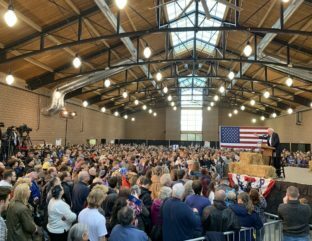 On April 9th, Bernie Sanders admitted to a crowd of supporters that he indeed was a millionaire and promised that he will release his tax records. After this happened, there was an uproar by some on the right, claiming it’s hypocritical for Sanders to be “democratic socialist” and also be a wealthy person. For example Dan O’Donnell, a conservative radio host, cheekily tweeted, “Hey @SenSanders, just heard the great news about you becoming a millionaire. Congratulations! Also, and this is sort of awkward, but…well, I don’t have that much money and was wondering when you were going to redistribute some of yours to me. Thanks!” Many are making it seem like Sanders is fraud, almost like he tricked all his voters and the truth is just coming out now. Hey @SenSanders, just heard the great news about you becoming a millionaire. Congratulations! Also, and this is sort of awkward, but…well, I don't have that much money and was wondering when you were going to redistribute some of yours to me. Thanks! This is going on the assumption that if someone is wealthy, they cannot possibly support ideas that are socialist in nature. That if someone was rich then they would immediately not support any progressive idea that would take their money. Sanders apparently has to be middle class or poorer to give him the right to speak about any progressive platforms in politics. 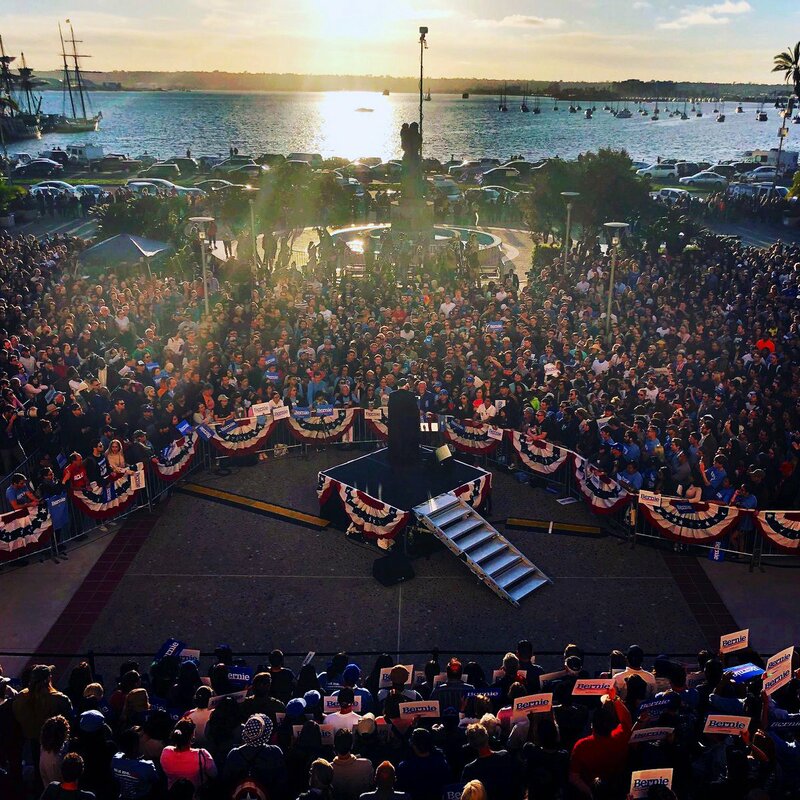 Many on both sides are even making the connection that Sanders is no different than President Donald Trump– not in a political stance, but in demographics by the fact that they are both old, white and rich. A crucial difference that these critics do not seem to grasp is that Sanders has worked for his wealth over the years, whereas Trump was born with wealth. Sanders was born in a modest family in a poorer part of Brooklyn, not in a million dollar home in Queens. 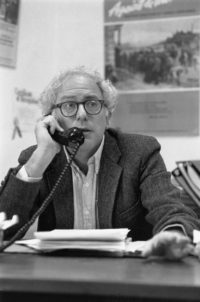 Sanders had to work to become the success he is today just like everyone else, he wasn’t on the fast track like Trump. Also, Sanders points out himself that being a millionaire is a lot different than being a billionaire like Trump, saying, “Not being a billionaire, not having investments in Saudi Arabia, wherever he has investments, all over the world.” Sanders wants to make it clear that he is not like the president in any way. To his credit he seems to be handling it well, saying that he’s worked for his money, he coolly claimed in an interview with the New York Times that “I wrote a best-selling book. If you write a best-selling book, you can be a millionaire, too.” He also guarantees that he will release the tax forms on or before April 15th. Sanders will release them, especially considering that many Democratic candidates are also planning to reveal their tax returns. That’s a fast turn around too, compared to our president who dodges giving any information on his tax returns. Trump has always desperately tried avoiding showing any of his taxes for the last two years of his administration. That trend is not ending either considering that he refuses to release them for this year’s tax deadline as well. So unlike our president, Sanders seems unfazed and unafraid to put his tax returns on full display for everyone to see. In fact, he is the one who told everyone that he was a millionaire, so he’s not trying to hide any cards. This inspires much more confidence from voters than the back and forth fight it takes for Trump to show any financial records. In my view, it makes no difference if Sanders is a millionaire. I don’t see how that hurts his message of taxing the rich to fund programs. If anything, it even strengthens that message because Sanders as a well-off person, yet he still believes in that goal and is fighting for it. Sanders is showing that his ideas are not just people trying to leech off the successful. It shows that just because someone is rich does not mean that they can’t be a supporter of higher taxes and more government spending. This revelation will have no effect on his campaign moving forward or his platform, he will still be the same candidate he’s always been. Sanders has been resolute about his political goals and no amount of money will change that. Next Post In Sexism’s Pocket: What’s Up With Women’s Pants?